This was a small community event put on to help raise money for those with impaired vision and to specifically perform cataract operations. 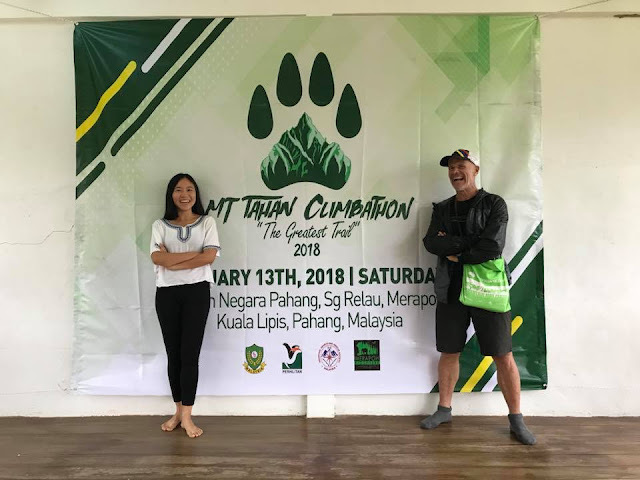 As well as a good cause I was attracted to the event as it was reported to be a tough section of trail up the side of Penang Hill. Apparently, the local hashing community had set the trail and, as they set notoriously harsh courses, I was really looking forward to the event. They did not disappoint either as from the off it was up. We started up a gentle staircase which went past the various bathing pools formed by the river for those that wanted to enjoy the coolness of the forest without venturing too far from their cars. After this tourist area though the real climb started and continued for pretty much the next 3-4km. 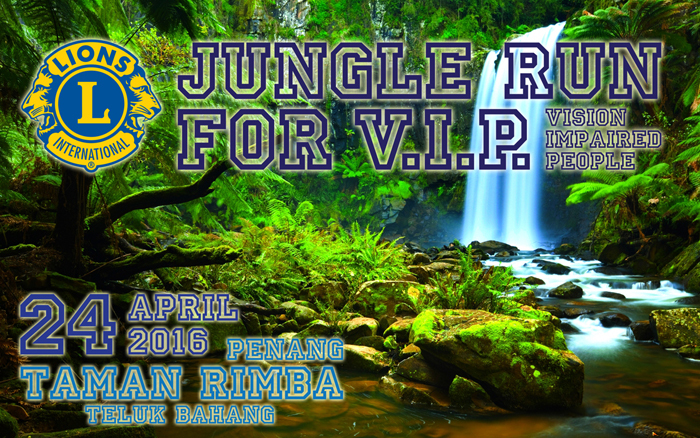 It was billed as predominately a fun run format with and Entrance (4km) and an Enthusiast (6km) category. Needless to say I’d elected to do the Extreme (10km) version as this was an ideal distance to test the progress of my training for the 10km trail I’ll be running later in the year at the ITU Cross World Championships. So as well as having fun I planned to treat it like a personal time trail. Rather pleasingly so were a handful of other chaps and we quickly and decisively opened up a big gap as a break away group. Half way up the hill I passed the lead out runner and from that moment on I had the trail to myself. It’s rare that an old diesel engine like me heads the field although I do frequently train alone and also find myself alone in races. This is actually one of the reasons for preferring trail and smaller low-key races like this one as you have your own “space” to focus on not only Mother Nature’s beauty and challenges but also yourself. Despite the gap widening between me and the rest of the pack as we climbed, I sensed that the race was far from over. This 6 th sense turned out to be correct as a local runner called Tang Ching Swee was chasing me. Thanks to his presence I got a great reminder of the how important it is to NOT think about what is behind or to the side of you but to just focus on what is ahead of you. As shortly after becoming conscious of Tang descending behind me I lost the markings and ended up having to back track up a slippery trail losing me quite a chunk of time. As a result, before I knew it, I was no longer alone as Tang was now right on my tail. Thankfully, after scolding myself for this loss of focus, I reapplied myself with a significantly more vigour and as the trail became increasingly technical I lost all sense of Tang’s presence and flowed down the remainder of the trail and getting to the finishing area in just over 40 minutes. I say “finishing area” as there was no official timer for the event and therefore no actual physical finishing line. Obviously, I was totally amazed at the time as I couldn’t believe 40+ minutes had actually passed but then trail running always makes me lose all sense of time and, more importantly, if the time was correct it would be a new PB for a 10km run and almost too good to be true given the toughness of the trail. It was a really lovely run with a great variation in terms of the terrain we had to deal with on what was a very tough and challenging and, therefore, interesting trail. It was great to meet my Xterra friends like Willis “The Ultimate Xterra Warrior” Teoh and his ever faithful support crew of Suan See.